I love the simple pleasures in life and today was one of those fun activities which brought us all joy. We decided on a walk around town, an unusual route for us as we normally explore the local countryside or beach. However this route meant we were able to visit two play parks and finish off at the station café for coffee and cake. The highlight of the walk was searching for conkers at one of the parks, we met friends here too so there was a nice social element too. 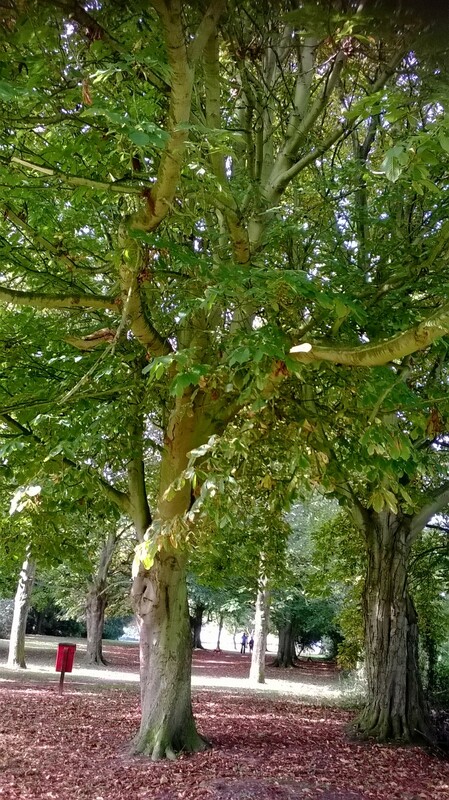 Collecting conkers from Horse Chestnut trees is a highlight of Autumn, even before children I would pocket the odd conker on walks. I love the deep colour, the beautiful patterns on the fruit and the childhood memories of conkers games. Well perhaps it was more the memories of trying to make a hole in the conker to thread through string and various suggestions on how to make them stronger, baked in the oven, soaked in vinegar etc.. It seemed that despite all the preparation, games of conkers were over pretty quickly with one spot on hit smashing the conker. Today we didn’t use the conkers to play a game, simply using them for decoration and keeping some nice ones for painting in the coming weeks. 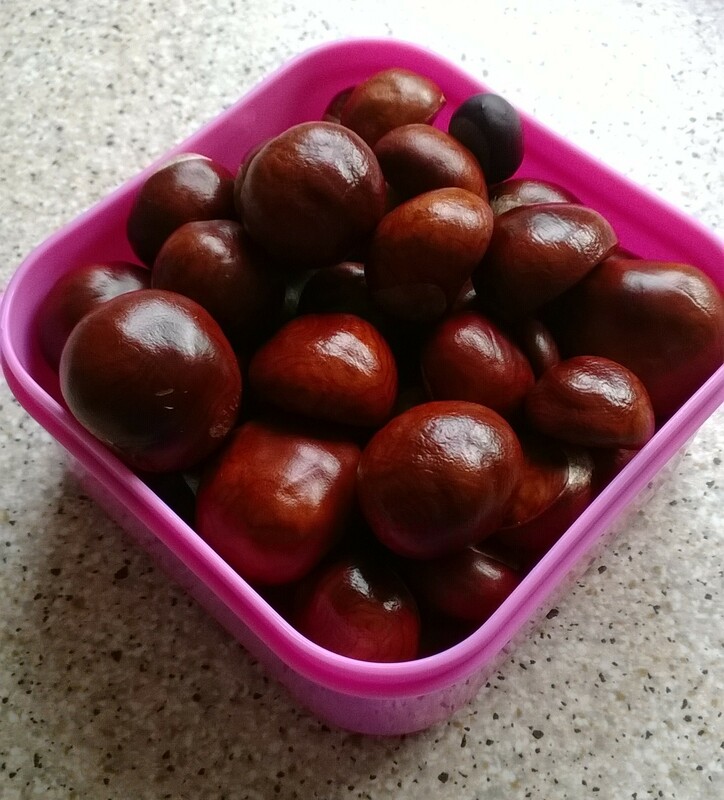 Little Miss did distribute conkers around the house, having heard the old wives tale that they scare away spiders, I hope she won’t be disappointed when our little friends scuttle around the house.